The Falcon 9 rocket launched at 10:42 a.m. carrying Jason 3, a NASA and NOAA satellite. The launch was part of a joint United States-European effort to measure ocean levels, which are reportedly creeping upward as a result of global warming. SpaceX, a Hawthorne-based company founded by business magnate and inventor, Elon Musk, built the rocket. SpaceX is vying for NASA contracts to supply rocket launching services. In December, the company completed a successful vertical landing of a rocket in Florida. 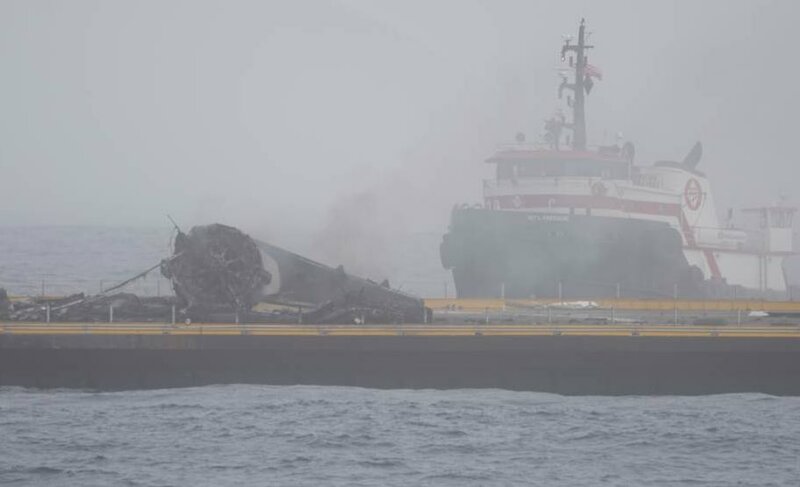 “Unfortunately we are not standing upright on the droneship at the moment,” SpaceX lead mechanical design engineer John Federspiel said after Falcon 9 failed to land properly on Sunday. Musk stated on social media a leg lockout did not latch, so the rocket tipped over after landing. The root cause may have been ice buildup as a result of condensation from heavy fog at liftoff, Musk said. Another company official said the botched landing was secondary to the successful launch of the weather satellite. Which version of the Prius do you drive? I drive a nice SUV and have a great sense of humor, it appears many here do not. They are getting there. At least they are moving in the right direction as far as space exploration and rocket science goes. To bad the same cannot be said for NASA. You are confused Roy, that rocket and other launches are contracts from NASA to help the commercialization of space. We have a plan, perhaps you could go read it, you know the NASA Plan. The good news is that the toxic rocket is being hauled off instead of plopping into the sea. but what about all the greenhouse gases and other not so friendly gases the rocket created during it flight?